Location: Bouaye, in the Loire-Atlantique departement of France (Pays de la Loire Region). 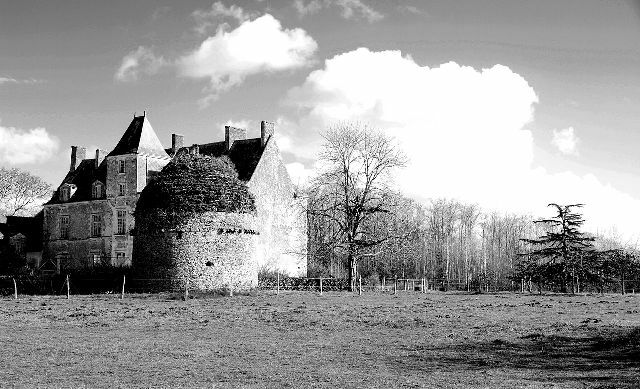 Notes: Logis de la Sénaigerie is a castle located in Bouaye in the department of Loire-Atlantique, in France. The castle is located more than 200 m to the southeast of the Gare de Bouaye and therefore the town. The Acheneau, which forms the northern edge of Lake Grand-Place in the winter, is located 400 m to the south. The stately home is already mentioned in the fifteenth century, but the house, the leaking and the chapel were built in the sixteenth and seventeenth centuries, while common were rebuilt in the first half of the nineteenth century. The monument is registered as historical monuments in 1999.